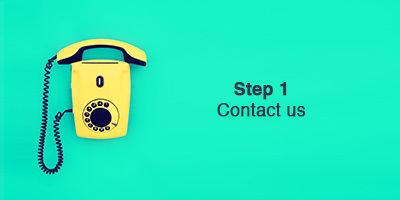 Are you looking for an agency specialised in communication services for startups? At Vèrtex Comunicació we offer a comprehensive communication service for startup companies because we are aware of how difficult it can be to start a business project. If you are a startup company and you need help to define your corporate identity, we want to accompany you to grow together. We will stand at your side to give you all the communication support you need. Communication services for startups: got questions? Need an agency specialised in communication services for startup companies? 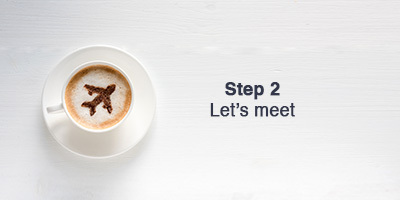 How to create a communication plan for a new company? What should the logo be like to stand out from the competition? Looking for funding and need help to submit your project? If you want to introduce your new brand in the market, you will need a communication strategy for startups that suits your target audience. Entrepreneurs must use communication to plan and execute their corporate communication plan, be different from the competition and gain market share. For this purpose, many details must be taken into account to achieve exactly the desired image. 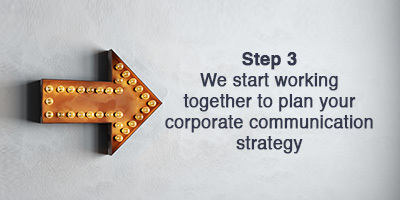 Corporate communication plan for startup companies. Support as public relations in the organisation of internal and external events. Wide-ranging graphic design services to create or redesign your corporate identity: logos, business cards, Corporate Identity Manual, publications, flyers, corporate brochures, product and services brochure, merchandising, invitations, corporate interior design, etc. Specialised audiovisual production in corporate videos, events’ summary videos, corporate and institutional adverts, reportages, corporate and event photography, artistic photography, product photography, social media short-form videos, industrial videos, etc. Web projects: web design and development, SEO copywriting and web positioning, social media management, newsletters, blogs, etc. Corporate and creative content writing: revision, proofreading and translations for the general communication strategy and for specific campaigns. Content writing for websites, blogs, corporate brochures, presentation dossiers, dissemination materials, etc. Training focused on the development of communication skills: spokesperson training and coaching sessions for team building activities.